Finding your exact color match can be tricky, since there are only five choices (not counting the bronzer). If you are so lucky, the natural coverage is comparable to the high-end Laura Mercier Tinted Moisturizer -- lightweight, sheer and non-greasy. 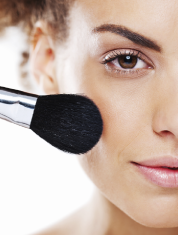 Skip it if you prefer foundation that delivers medium or full coverage. Bonus points for antioxidants and SPF 30, but the noticeable sunscreen smell can be a turnoff. Everytime I used this stuff, my face would breakout. Not recommended to anyone who has issues with their skin! The price, the SPF 30, and the sheerness makes this a great product. 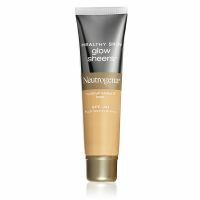 I own Bobbi Brown's moisturizing tint and DuWop's , but I use Neutrogena when I am walking or playing tennis because of the SPF 30. The light to medium tends to lean towards the color orange, which is fine for the summer. Provides very sheer, light coverage. Heavier in consistency than a lotion. Leaves skin with a nice glow.